Louise “Nellie” (Morrell) Knapp, 79, of Gray and more recently of Hebron, passed away on Friday, September 21, at Clover Healthcare in Auburn. Louise was born in Windham, Maine, to Clifford and Fannie (Plummer) Morrell on October 28, 1938. After completing school in Windham and Gorham State Teacher College, she taught second grade at Memorial Elementary School in New Gloucester where she met and later married Charles Warren Knapp on July 10, 1965, in Windham. She continued to teach at Memorial and Russell elementary schools until 1972. Though she stopped teaching for schools, she was a lifelong educator. Whether as a substitute teacher in Gray, a docent at Shaker Village in Poland, or parent, she never stopped helping people be the best they could be. She also decorated cakes for weddings, birthdays, graduations and more. Her interest in history and family combined in her hobby of researching family history and tracing the family roots back through the centuries and countries. 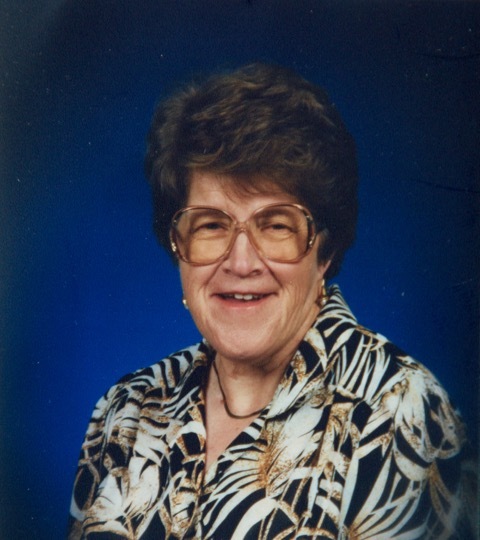 She was an active volunteer at the Gray Congregational Church, Dry Mills School, G-NG band boosters, Troop 86 scouts, the Gray Historical Society and her husband’s family reunion (Halls), acting as Treasurer for many years. She received the Gray Volunteer of the Year Award in 2005 and also authored the book Images of America: Gray, Maine in cooperation with the Gray Historical Society. Louise is preceded in death by her husband of 50 years, Charles Warren Knapp, her parents, Clifford and Fannie, and siblings Anne and Albert Morrell. She is survived by her two sons, Cliff and wife Cheryl of Hebron, Maine; Ken and wife Carrie of Asheville, NC; her brothers, Richard Morrell of Windham, ME and William Morrell of Auburn, ME; her brother-in-law, Richard Knapp and wife Carol of Myrtle Beach, SC; and her six grandchildren: Finn, Elisabeth, Caleb, Margaret, Joseph and Peter. Visitation will be from 5-8 p.m. on Wednesday, September 26 at Wilson Funeral Home in Gray. On Thursday, another viewing from 12:00-1:00 p.m. will be followed by a funeral service at 1:00 pm at Wilson Funeral Home with Reverend Dr. Richard Allen Hyde of the First Congregational Church of Gray officiating. Burial will follow at the Gray Village Cemetery. Arrangements are by Wilson Funeral Home. In lieu of flowers, please make a donation to any of the organizations above that Louise supported.